Prof Rhoshel Lenroot is part of a large, multi-disciplinary team which seeks to improve the current treatments for children with conduct problems such as aggressive behaviours. Childhood conduct problems are the greatest risk factor for antisocial behaviour and violence, as well as later adult mental health issues. One of the most effective ways to treat early conduct problems is through evidence-based parent training programs. 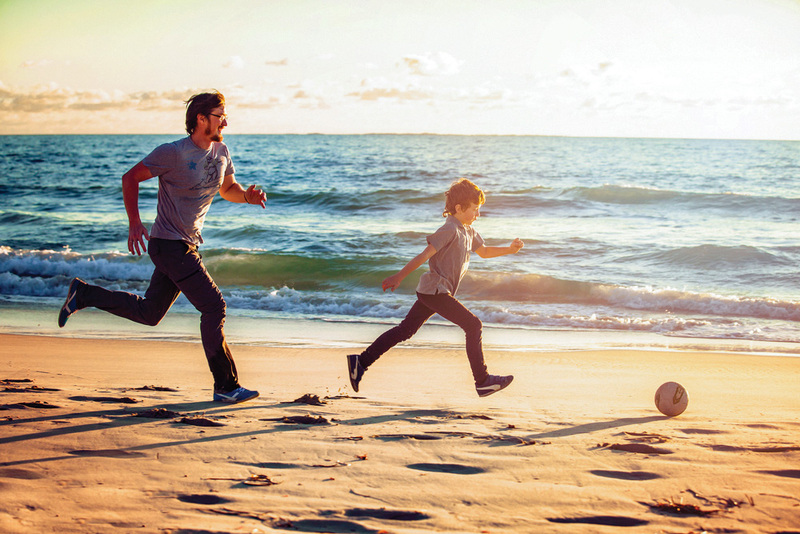 Like Father Like Son: A National Approach to Violence, Antisocial Behaviour and the Mental Health of Men and Boys project investigates innovative strategies for enhancing engagement of fathers in evidence-based interventions for childhood conduct problems at the national level. Some barriers may have to do with male gender roles, where dads assume that dealing with the children falls in the mother’s domain. Or there could be practical impediments. We know from research that parenting programs are more effective when all parents are involved. We also know that fathers are less likely to participate in parenting programs than mothers, for a whole range of reasons. One of these reasons is that most parenting programs have not been developed with dads in mind. Research has shown that participation reduces the early signs of violence and antisocial behaviour in children. The majority of participants in these programs are mothers, but there is evidence to show that children display greater improvements in behaviour when fathers participate in treatment, and that the benefits are maintained for a longer period of time. The first step is a national survey of fathers to determine the barriers to involvement and design initiatives to overcome those. Some initial research shows a much higher percentage of fathers participating if there are ways for them to do so. After-hours consultations and tailoring intervention programs will better appeal to fathers. The Like Father Like Son project has developed Australia’s first free, national web-based parenting program to allow parents access to tips and strategies. The program will also design a training program for practitioners to equip them with skills to customise interventions to meet each family’s unique needs. If you are interested in further information about the project, visit: likefatherlikeson.com.au.